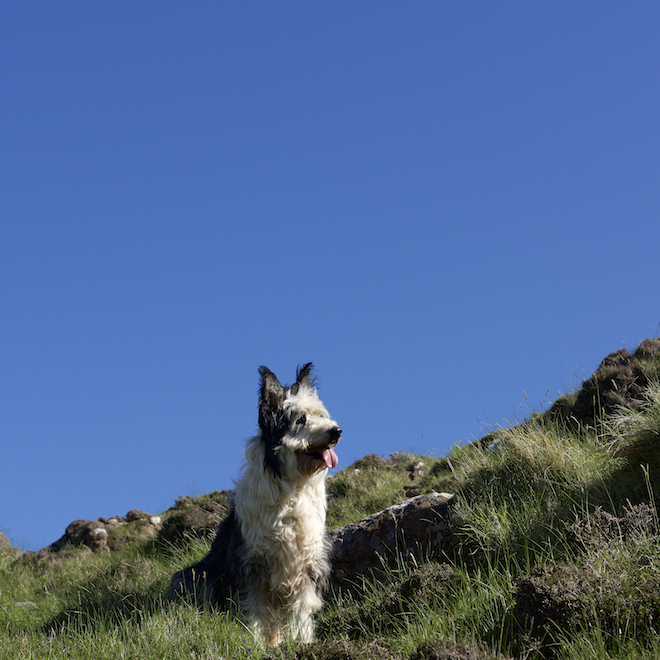 There are plenty of wonderful dog walks on Mull. Lovely beaches and places without any livestock but the emphasis from the Scottish Outdoor Access Code is on you keeping your dog under control. You can walk anywhere in Scotland as long as you take responsibility for yourselves, do no harm to anything and respect the privacy of those who live where you are walking. When walking with a dog there are certain additional rules. It makes sense to gem up by reading the Scottish Outdoor Access Code. There is a copy for you to look at in our Phone Room. You cannot walk a dog through a field with young livestock (lambs or calves) in it. Dogs must be kept under close control (i.e not running at a distance from you). 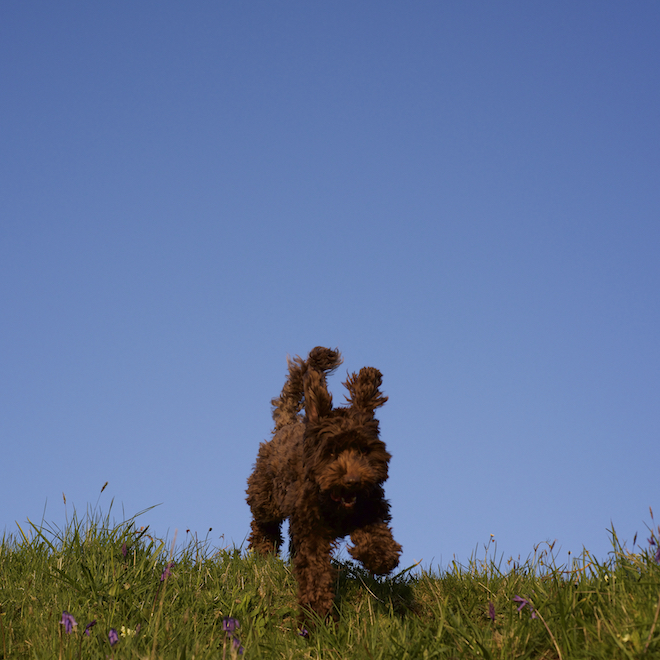 At Treshnish we are happy for guests to bring their dogs as long as they are kept under control. We usually have a field which doesn’t have any livestock in it. Please ask and we can explain where you can walk a dog off the lead. 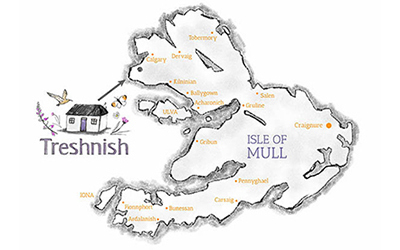 We ask that you are aware that mountain hares live at Treshnish all year round and that in the summer from May until the beginning of September there are ground nesting birds, so please make sure you don’t allow your dogs to disturb them. When you walk along the coastline here, it might be difficult to understand why we prefer dogs to be walked on leads. Wild open spaces, seemingly devoid of sheep or lambs. But they are there somewhere, behind rocks or grazing near the cliff edge. At any time of year our sheep are frightened of dogs. Especially in March or April, in the lead up to the lambing season, our ewes are heavily in lamb and fairly skittish. They are terrified of dogs and will run a mile (or over a cliff) if they see one, especially one that is running around at a distance from its owner. It took us a while to realise when we first moved here that it was just the presence of a dog that upset the sheep. So walking dogs on leads minimises the risk. 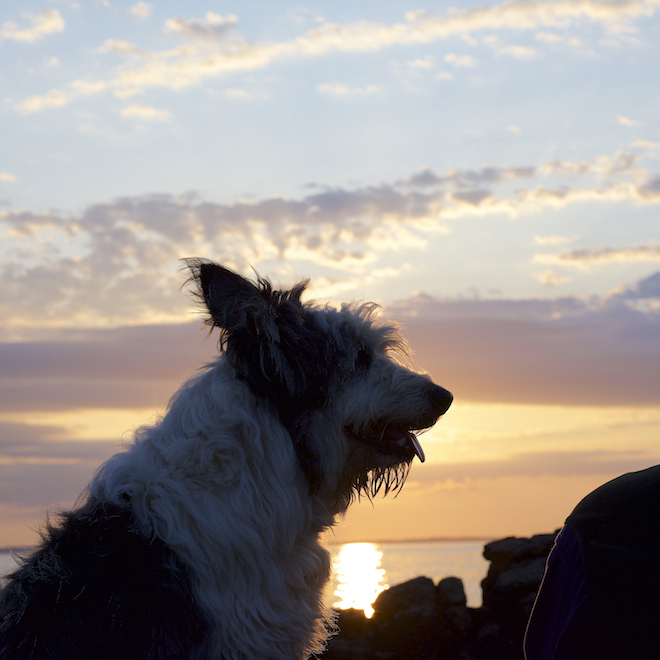 Within a few miles of Treshnish there are several great dog walking beaches! Calgary is our nearest beach and at low tide there is a fantastic amount of space for dogs to run off the lead. Machair sometimes has sheep on it but it is fenced off from the beach. 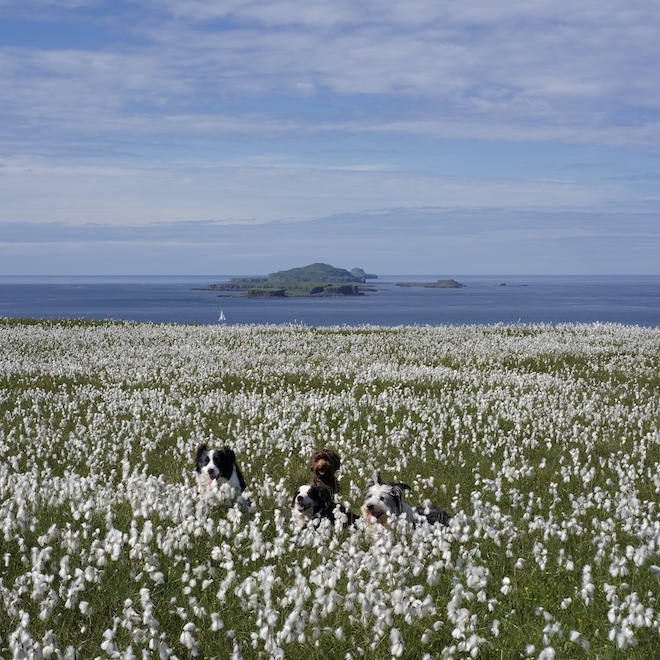 Please don’t allow your dog to dig at the rabbit holes – they are damaging the machair. Traigh na Cille beach (Kilninian) is about 4 miles away and again has a lot of space at low tide. Sometimes there are Highland cattle in the fields between the road and the beach. Under the Scottish Outdoor Access Code dogs are not allowed in a field with young stock (lambs or calves). Therefore if the cattle have their calves with them you shouldn’t walk through them. If the cattle (without calves) are on the beach it is best to keep your dog on a lead. Langamull is a wonderful beach 5 miles away towards Dervaig. You walk through the forest, past Langamull farmhouse, and through several fields to get there. It is quite a well worn path. There are often sheep in the fields on the way to the beach. Therefore keeping dogs on leads is advisable until you are away from them.